The photo (above) was taken on Thanksgiving morning and I like it from the standpoint that we can choose to be whatever or whoever we want to be. 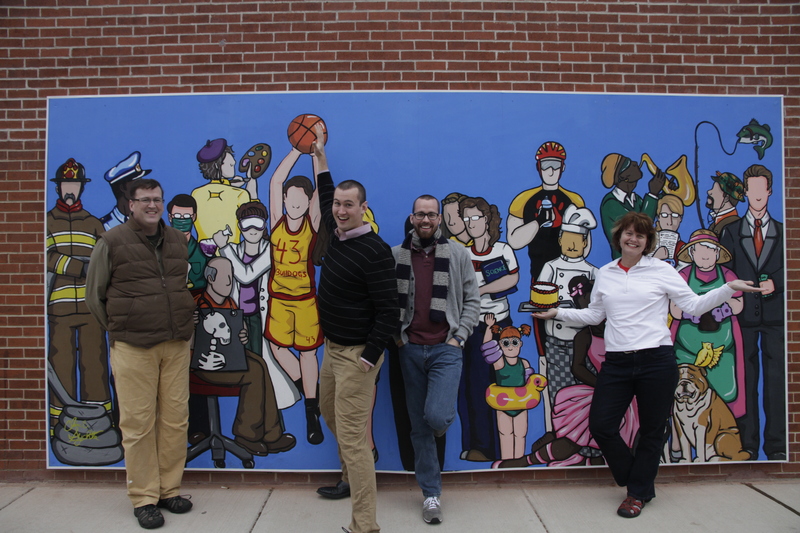 The mural is located in downtown Batavia on S. Water Street and was created by a talented Batavia High School student. It’s been a month (actually 5 weeks) since my last surgery and since I’ve blogged. I’ve made excuses for myself – busy at work, Christmas shopping or decorating, but the real reason is that I didn’t know what to write about. The last year has been a whirlwind of surgeries, planning for surgeries, recovering from surgeries, finishing my MPA or something to fill the gaps between waiting. Working to get this site set up was like trying to surgically extract ideas, knowledge and passion for helping others. This is all good, but I am not satisfied with just helping those with DCIS; an inner voice is driving me to figure out how to cast my net to a wider audience. What would this look like? I simply don’t know right now. Maybe 2012 is the year to explore this idea. But now I find myself pausing to reflect on all that has happened in 2011 and am grateful for coming out of the year relatively ‘whole.’ If we choose to tune in to the world around us, there is so much chaos. Many times I find myself filtering out the bad stuff to the point of becoming immune to what is really happening in the world. I’m not someone who watches the nightly news as it simply depresses me. When problems are so overwhelming it can lead to a feeling of powerlessness and apathy. This is a dark space I try to avoid, but find myself grappling with lately. A goal is to find the balance of being a citizen of the world and of my own community. I try to figure out how I fit in and what I can do as one person to make a difference. Some days this thought is inspiriting and others it overwhelms me with a wave of despair. Sometimes this state of chaos motivates me, but right now I’m just letting this feeling envelope me. Not consume me, but just be a state of mindfulness that the world is largely a playground of opportunities. It’s just hard to know where to start making a difference. Pausing is a good thing. For it is only when we take the time to think, to plan and to consider that we can reflect and appreciate the past and then imagine the future.